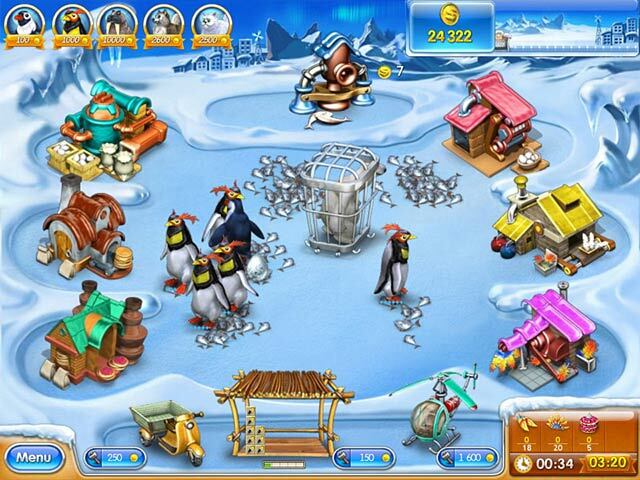 Manage five different farms around the world, as you try your hand at penguin breeding and jewelry making in Farm Frenzy 3!Manage five farms around the world!Manage five different farms around the world and try your hand at penguin breeding and jewelry making in Farm Frenzy 3! 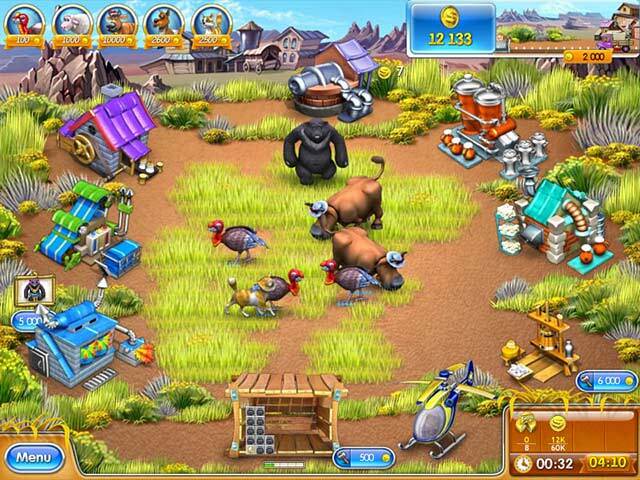 Enjoy outrageously fun levels, wacky animals and more upgrades than there are ears in a field of corn! 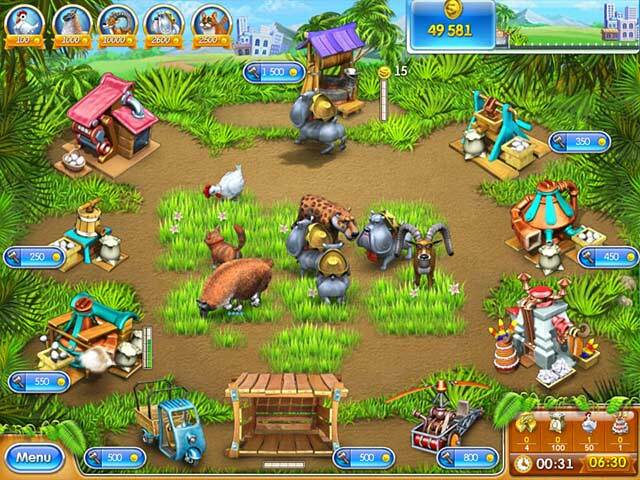 Grow crops, feed animals, collect produce and manufacture goods, while you enjoy zany animation! 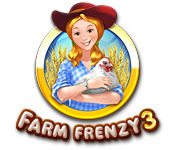 Help Scarlett become the president of the Farmers` Union by earning the votes of the people she helps.